During the cold winter months in Longmont and Denver, the last thing anyone wants is to be without heat. A faulty heating unit can turn your home into an igloo in almost no time at all. So If your furnace unit needs to be repaired, give A&E Comfort Pros in Longmont a call! We’re your friendly, reliable heating and repair company. Right here in the Front Range for any and all of your furnace services. 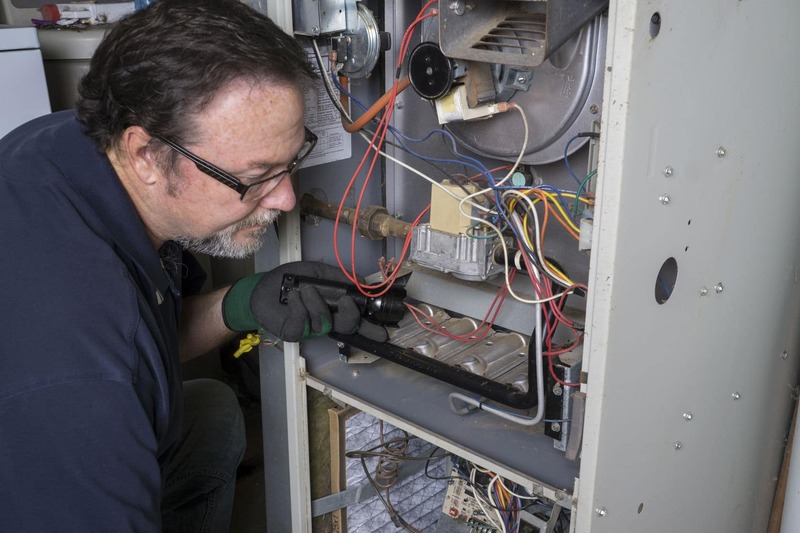 We work with all makes and models, so no matter what your system or issue may be, we are your one-stop-shop for furnace repair in Longmont and the Denver metro area. Providing only the best in customer service, so that you make the right choice. Every single time. Come experience the difference in heating companies and services with A&E Comfort Pros. Is your furnace getting noisy? Have you noticed your Longmont home getting harder to heat comfortably? Is your heating bill rising for seemingly inexplicable reasons? Furnace maintenance and repair is an often-forgotten part of homeownership. Many people let their furnace go years without proper inspection, maintenance, and repair. This can cause your furnace, and ultimately your heating, to be less efficient, circulate dust and dirt around your home, and can drive your utility bill up by potentially hundreds a month. Letting small heating issues and repairs go ignored can be very damaging to your furnace in the long run. Catching issues early and making small repairs can prevent you from being left without heat in the middle of a chilly Colorado winter. Call A&E Comfort Pros here in Longmont, and have one of our highly trained technicians come inspect your system. Don’t get stuck in the cold, keep your furnace repaired and running, at a price you can afford, with A&E Comfort Pros in Longmont. Furnace repair can be expensive, and eat up a lot of your time waiting around in the cold. Stress less with A&E Comfort Pros in Longmont, for all of your heating and furnace issues or repairs, and let the experts take care of everything. Our friendly certified technicians provide 24/7 service across Longmont and the surrounding areas, so that you are never left without heat. For all your heating system repair needs in Longmont and the Denver metro area, call the furnace experts at A&E Comfort Pros today at (970) 888-4263!